Explore the numerous day-trip ideas around Perth: Fremantle (Fremantle Markets & Fremantle Prison), Caversham Wildlife Park (in Whiteman) and Mandurah Cruises (in Mandurah). Pack the 5th (Tue) with family-friendly diversions at Adventure World Perth Australia. 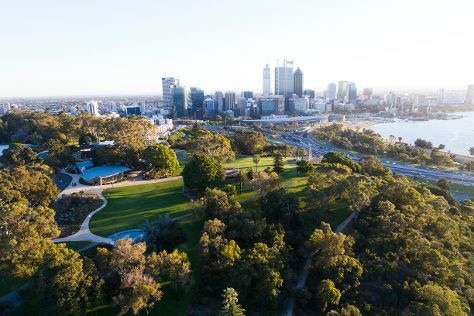 And it doesn't end there: take in nature's colorful creations at Kings Park & Botanic Garden, pause for some photo ops at The Bell Tower, contemplate the long history of The Perth Mint, and enjoy the sand and surf at Scarborough Beach. To see other places to visit, more things to do, ratings, and more tourist information, refer to the Perth trip website . If you are flying in from Malaysia, the closest major airport is Perth International Airport. In March, daytime highs in Perth are 34°C, while nighttime lows are 19°C. Finish your sightseeing early on the 6th (Wed) to allow enough time to travel back home.